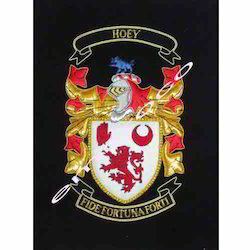 Creating a niche of Family Crest such as Family Crest Large COAT Banner, Family Crest O'Brien COAT Banner, Family Crest Double Coat Frame, Family Crest Single COAT HOEY Frame, Double Coat Of Arm Frame and Garter Breast Star - Bullion at its best, with utmost quality. 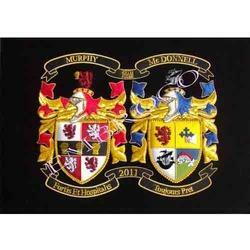 We are the proud manufacturers of the Family Crest that have been made from the best quality. 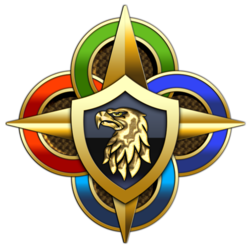 The material used in its making have a profound impact on our clients as they portray a royal and embellishing look that escalates the entire surrounding. They have been stitched in a detailed manner and are packed diligently. They also undergo stringent check thereby giving it a graceful sight. 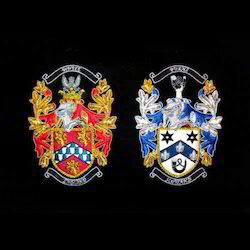 Looking for Family Crest ?